Trademark law in the United Kingdom is governed by the Trademarks Act (1994), as amended, which implements the EU Trademarks Directive (2008/95/EC) to approximate the laws of the EU member states. All parties conducting civil litigation in the United Kingdom should follow the Civil Procedure Rules, which set out how cases should be conducted before and after proceedings have been issued. Litigation is usually seen as a last resort in the United Kingdom and the courts expect parties to try to settle disputes without recourse to litigation wherever possible. Accordingly, trademark owners usually send infringers cease and desist or demand letters, incorporating appropriate undertakings for the infringer to sign, in an attempt to resolve the matter without the need for court proceedings. The English courts take a proactive approach to case management and can utilise costs awards to incentivise parties to conduct litigation proportionately. identical or similar to a trademark with a reputation in the United Kingdom and where the use of the sign without due cause takes unfair advantage of or is detrimental to the distinctive character or repute of the trademark. The Trademarks Act also includes separate provisions on criminal offences which are usually enforced by the Police and Trading Standards. EU trademarks are also enforceable in the United Kingdom and the test for infringement is the same as for UK-registered marks. Until Brexit is finalised, the UK courts will continue to serve as EU trademark courts. As to the position post-Brexit, both the draft Withdrawal Agreement and the Guidance Notes from the UK government on the implications of a ‘no-deal’ Brexit anticipate that registered EU trademarks will automatically be converted into equivalent UK trademarks (with no examination required) and continue to take effect in the United Kingdom. The exact mechanism by which this will occur has yet to be established. Parties litigating in the United Kingdom should be aware of the laws relating to unjustified threats. These provisions are intended to prevent spurious threats of trademark infringement being made against traders and distributors, whose fear of being involved in costly litigation may result in them capitulating and their businesses being damaged, even where the trademark at issue is invalid or not infringed. The law of unjustified threats has recently been reformed and new legislation came into force in October 2017 which clarified certain provisions of the Trademarks Act. However, care must still be taken when sending cease and desist letters to traders and distributors, as such letters could constitute actionable threats which may entitle their recipients to commence proceedings at court and seek an injunction to restrain further threats, along with damages. Unregistered rights are protected under the common law tort of passing off, which protects goodwill accrued through trading activities conducted in the United Kingdom. A claim for passing off is often run in conjunction with a claim for registered trademark infringement; however, passing off may be the only cause of action available if no trademarks have been registered. damage to the claimant as a result of the defendant’s misrepresentation – this could be loss of sales or more intangible damage arising as a result of being mistakenly associated with the defendant. It is generally difficult to succeed in a claim for passing off based on the get-up of products alone, as in such cases the ‘look and feel’ or shape of a product must serve as an indication of origin in its own right. The evidence required to support such a claim tends to be difficult to gather and, as discussed below, surveys are not generally favoured by the courts. The United Kingdom has no law of unfair competition as such, although passing off shares some similarities with unfair competition law principles in continental European jurisdictions (eg, Germany). The Civil Procedure Rules encourage parties to try to settle matters without recourse to full court proceedings and the courts will generally look unfavourably on parties who refuse to engage in alternative dispute resolution – indeed there may be unfavourable cost consequences. Many cases are settled via mediation before trial. There is no formal requirement to engage in arbitration, unless there is a contract in place between the parties which contains an arbitration clause (in which case the arbitration clause will usually prevail over court litigation). The United Kingdom contains three separate judicial systems: England and Wales, Scotland, and Northern Ireland. All courts within the United Kingdom are bound by the decisions of the Supreme Court. It is standard practice that liability and quantum are bifurcated, meaning there will be a trial on infringement, followed – if appropriate – by an inquiry as to damages or an account of profits. Trademark infringement proceedings are typically brought before either the High Court or the Intellectual Property Enterprise Court (IPEC). The High Court is the premier venue in the United Kingdom for large and complex litigation. At the High Court there are, in principle, no limits on how much a claimant may claim in damages or the amount of costs which may be recovered by the successful party. However, the High Court will play an active role in managing costs and parties are likely to be subject to costs-management orders relating to approved cost budgets. These may be compulsory or – if discretionary – ordered at the request of one of the parties. Costs recoverable by the successful party, not subject to a costs-management order, will typically be between 60% to 70% of the costs actually incurred. Claims brought before the IPEC must not exceed £500,000 in value. Claims valued at no more than £10,000 may be brought in the IPEC’s ‘small-claims track’ which is intended to be an even more streamlined and cost-efficient way of dealing with low-value claims. The recovery of legal costs in the small-claims track is extremely limited. Due to its special procedural and costs rules, the IPEC is generally suited to less complex, lower-valued claims. This makes it most suitable for individuals and small to medium-sized enterprises, although larger businesses can make use of the forum so long as their claims satisfy the criteria. Claims issued before the High Court or the IPEC will generally be listed for trial between 12 to 15 months from the date of issue. Judgments are generally handed down within three months after trial. Courts fees will vary depending on the value of the claim and the remedies sought. They start at £35 for claims valued up to £300, and go up to £10,000 for claims valued at more than £200,000. Claimants seeking non-monetary relief (eg, an injunction) will incur an additional fee of £528 if litigating before the High Court, or £308 if litigating before the IPEC. The owner of a trademark can recover damages in relation to acts of infringement. Damages may be calculated based on the profits lost by the claimant as a result of the infringement or based on the notional licence fee that the claimant and defendant would have agreed for use of the infringing mark. While damages for infringement of a UK-registered trademark can be recovered from the date of the trademark application, the owner of an EU trademark may recover damages only in relation to acts of infringement committed after the date of registration. However, reasonable compensation may be claimed in respect of acts occurring after the date of publication. Damages may include damage to reputation and goodwill, which – although difficult to assess – may yield a figure significantly higher than can be gained by opting for an account of profits. An account of profits is an equitable remedy which requires the infringing party to surrender the profits made from its infringing activity. However, an account of profits is not intended to be punitive. Claimants may seek damages or an account of profits, but not both. The choice between these remedies may lead to the claimant recovering very different amounts, so due consideration must be given to the election. Limited disclosure of financial information from the defendant may be available in order to assist the election process. A permanent injunction is usually granted as a form of relief, following a finding of infringement at trial. Interim injunctive relief may also be granted at an earlier stage of proceedings, where appropriate. An interim injunction is a discretionary remedy and is granted only in urgent circumstances. Exceptionally, an application for an interim injunction may be made without notice to the respondent, although the courts have emphasised that ‘without notice’ applications should be made only in very limited circumstances (eg, where giving notice would enable the defendant to take steps to defeat the purpose of the injunction). Any application for an interim injunction (with or without notice) should be made as soon as possible after the applicant becomes aware of the circumstances requiring it. Indeed, a delay of just a few weeks can be fatal to the application. The applicant must also show that damages would be inadequate to compensate it for the respondent’s continued infringing activities up to the trial date. The party seeking an interim injunction must also give a cross-undertaking in damages, by which the defendant will be compensated if it transpires that the interim injunction should not have been granted (ie, the infringement claim fails at full trial). In practice, interim injunctions are relatively rarely sought in trademark cases. payment of legal costs (usually a contribution). While there are no hard and fast rules, it is advisable to carry out proper enquiries before contacting the potential infringer and to record evidence of any infringing activities. For example, a potential claimant may keep records of any infringing items or activities found online, carry out test purchases and hire private investigators to conduct suitable investigations. the costs of carrying out the survey. The use of expert testimony is subject to the permission and control of the court. Expert evidence is restricted to that which is reasonably necessary to resolve the proceedings. Expert evidence on issues such as likelihood of confusion is generally not admissible. A UK trademark registration is not infringed by use of a later trademark registration in relation to goods and services for which the latter is registered. This defence does not apply if the later trademark is invalid. A person’s use of his or her own personal name or address does not constitute infringement, provided that such use is in accordance with honest practices in industrial or commercial matters. Regarding EU trademark infringements, this defence applies only to personal names (eg, not to company names). UK law is expected to be aligned with this in due course. other characteristics of the goods or services concerned. Further, a defence can be based on the continuous use, in the course of trade and in a particular locality, of an earlier right which applies only in that locality. An ‘earlier right’ is defined as an unregistered trademark or other sign continuously used in relation to goods or services to the extent that its use is protected by virtue of any law (in particular, passing off). Article 16 of the EU Trademark Regulation (2017/1001) provides a new intervening rights defence to EU trademarks, granting a defence to proprietors of later EU trademarks in situations where the later trademark could not be invalidated. This defence is expected to be implemented into UK domestic law in due course. does not without due cause take unfair advantage of, or constitute a detriment to, the distinctive character or repute of the trademark. However, this section has been criticised for its incompatibility with EU law, and no such defence applies to use of EU trademarks. it raises an issue of general public importance. Appeals will usually only be allowed if the lower court erred in law or fact, or if the decision is unjust due to a serious procedural or other irregularity. 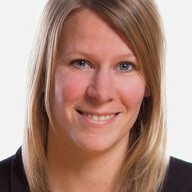 Tamsin Holman is a partner in D Young & Co’s dispute resolution and legal team, which she helped to establish in 2011. She practised as a barrister for five years at specialist IP chambers before qualifying as a solicitor and joining a leading city firm. 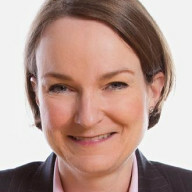 Ms Holman’s practice involves predominantly contentious IP matters, with an emphasis on enforcement and infringement of trademarks, design rights, copyright, domain names, database rights and trade secrets, as well as licensing disputes and anti-counterfeiting work. She acts for UK and international clients in a variety of sectors, including publishing, entertainment, leisure and fashion, fast-moving consumer goods, luxury goods, information technology, finance and life sciences. Anna Reid works with clients across a number of sectors, including entertainment, leisure and fashion, fast-moving consumer goods, luxury goods, finance and gaming. She provides contentious and strategic advice regarding a wide range of IP matters, including trademarks and passing off, copyright and designs. Ms Reid has advised in opposition and cancellation proceedings before the EU Intellectual Property Office, the UK Intellectual Property Office, the EU General Court and the European Court of Justice, as well as in litigation before the Intellectual Property Enterprise Court and High Court. She is experienced at handling domain name disputes and anti-counterfeiting matters, including coordinating national and pan-EU Customs applications and liaising with Customs and law enforcement to seize counterfeit goods. Alban Radivojevic advises clients across the full range of contentious and non-contentious IP matters, including trademarks, copyright, patents and designs. His varied practice in these areas includes the prosecution, defence and protection of clients’ IP rights on a UK, EU and international scale. 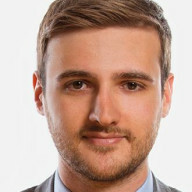 Mr Radivojevic has considerable experience advising clients on trademark and design infringements, domain name and company name disputes and copyright infringements. He advises and represents clients before the UK and EU IP offices in trademark opposition, invalidation and revocation proceedings.